Download the app and complete the registration, and in less than 24 hours you’ll be able to use the electric scooter service. 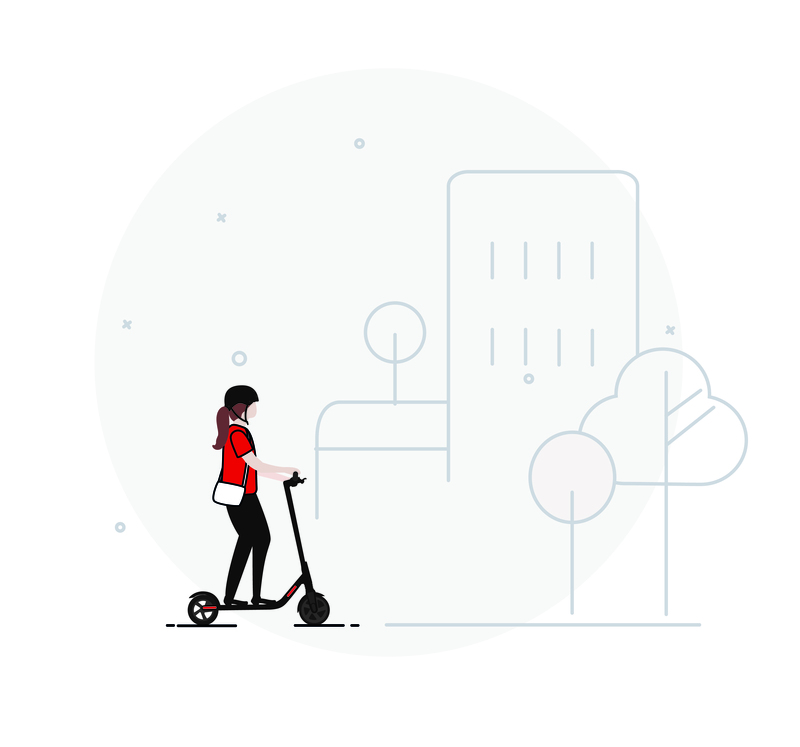 Select the scooter nearest you and click to reserve it. We’ll give you up to 10 minutes to start your ride. Unlock your scooter and start your ride! Enter the ID, press the start button, get moving and enjoy your trip! Remember that you have to use the bicycle lanes and streets limited to 30 km/hour, and never drive on the pavement. Enjoy the city, stop and go wherever you want, but remember to complete the trip within the limited area. Remember that you can’t park scooters on streets with 50 km/hour speed limits or in pedestrian zones. Start the scooter by pressing the centre button until the display lights up. Press this to brake or stop the scooter. Glide a few meters and press the button to start moving. Once the scooter is turned on, press the start button again to turn on the light. Have any questions? We’ll leave you instructions and useful recommendations. You can use this other brake by pressing the rear finder with your foot. Convenient and easy. Remember that you must set it when you finish your drive. Follow us on social networks, and don’t miss any of our new offers and promotions. Plans, promotions, surprises, last-minute information... Follow us on our channels and stay tuned at all times! 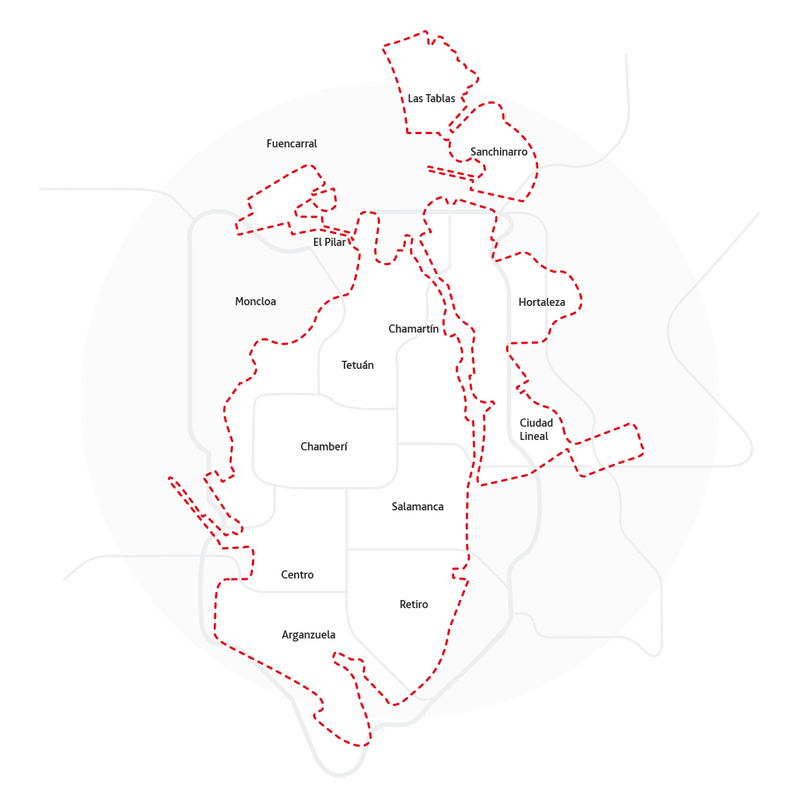 What is the ACCIONA scooter service all about? How can I register with the service? What criteria must I meet to use the scooters? Where can I ride the scooters? We don’t imagine the future, we drive it. More than 1,000 electric scooters to get you around sustainably. Join our community of bikers and share your photos and videos with #SonsOfTheWind. Join the biker gang and travel effortlessly and pollution-free around your city.